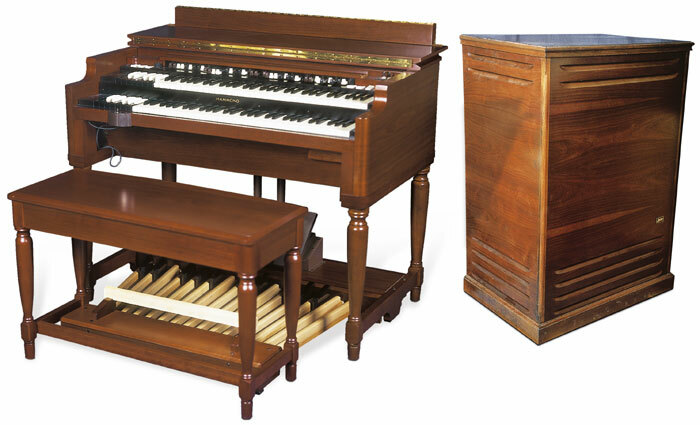 The Hammond B3 has been the organ of choice since Jimmy Smith popularized it as a jazz instrument in the 1950’s. There were others before him, but really its mass secular popularity started with Smith. Before that time it had been a mainstay of the church, mostly Southern Baptist churches. Combined with the Leslie tremolo cabinets and bass foot pedals, B3 players came to develop their own harmony and solo stylings, as well as an overall sound uniquely their own. 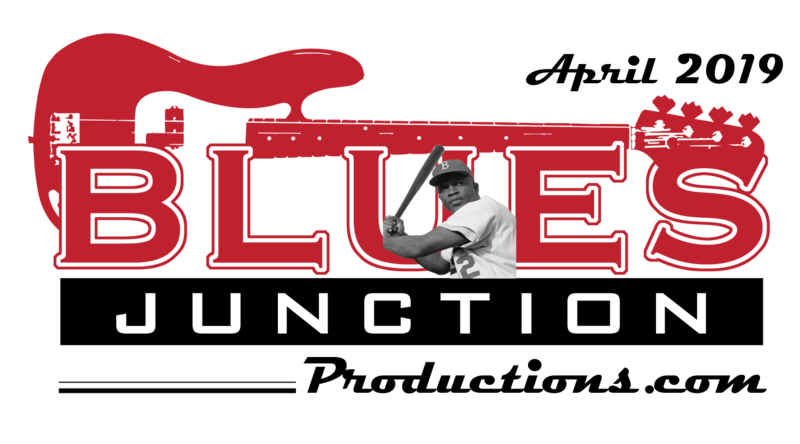 Throughout the jazz beaux ’50’s and the boogaloo ’60’s, the B3 began to be used in all types of music from Frank Sinatra to Procol Harum as well as Saturday night baseball games to Sunday morning praise breaks. Through Jimmy Smith, Jack McDuff then later Billy Preston, Booker T. Jones, Steve Winwood and Mike Finnigan, its profile continued to grow in stature with the listening public. Much of the innovation with the instrument came out of the church. Sly Stone was one of many whose pop leanings were firmly rooted in a Baptist church aesthetic. Today, if you want to hear real music innovation, look no farther than the organist at your local Church of God in Christ ("COGIC") church. Check out the highly accomplished former child prodigy Corey Henry for instance. For me, I’ve had three B3s in my lifetime. I still have the one I bought used when I was seventeen at Leo’s in Oakland. The other one I bought a few years ago from a little old lady in Pasadena. I’m not kidding...I swear. She had bought it new in 1961. She had never played it. She didn’t even know how to turn it on. I’ve always felt that somehow I was being paid back for all the lemons I’ve bought in my life. She was happy with what I paid her and I was happy when I finally got it squeezed into our laundry room at our new home down here along California’s central coast. Before that we had lived in Oakland. There was an elderly widower who lived down the block. When it came time for him to go to assisted living his kids moved all his stuff out leaving nothing behind except an old Hammond B3 Organ sitting in a corner of the living room. His daughter had called and asked if I wanted it for free. It was mine for the taking. I already had two, so I passed, but said that I’d call around to see if anybody would take it. One of the phone calls I made was to Marcus Miller. He’s the choir director at Triumph COGIC in nearby Emeryville. He sings like a bird and plays organ better than anybody I know, but even Marcus wasn’t interested. I spent the better part of a day calling folks without any luck...or so I thought. Later that evening I got a call from a Deacon at the 32nd Street Baptist Church in Oakland. He said, “We’ll take it. Bring it down here tomorrow, Sunday at 11:00 am.” I didn’t ask and really never thought much about it, but I suspect he was contacted by Marcus. On Sunday morning I went across the street and got the keys to my neighbor’s pickup. My son and I crammed the organ along with the Leslie, bench and pedals into the back of the truck and off we went. The 32nd Street Baptist Church was only a few miles from our house. I’d played there before. I was surprised to see only a handful of elderly parishioners in the church when we got there. The pastor stopped the service when he saw me and came out front to look at the organ. He instructed me to back the truck right up to the vestibule (foyer) of the Church. I told the preacher in no uncertain terms that I had no interest in backing my neighbor’s truck between two cars parked close together on a side street in Oakland, as I could see that there was simply not enough room. The preacher made a face. He told me that he would do it. With a great deal of trepidation I tossed him the keys, as it was clear he wasn’t going to take no for an answer anyway. He got in the truck, immediately threw it in reverse and floored it. Without slowing down he weaved between the parked cars (going backwards mind you at full speed), up the curb, across the sidewalk and stopped right at the front door of the church. As my heart started beating again and color began to return to my face, the Deacon tossed the keys back to me and said, “I drove a Greyhound bus for thirty five years.” I believed him. We pulled the organ off the truck and set it down just inside the front door. “That was easy enough.” I thought at the time. The fact was I didn’t give it much thought after that, as I was on the road six to seven months out of the year back in those days. For anyone who has experienced the rigors of that kind of travel everything can seem like a blur. One day some months later back in Oakland I ran into Marcus on Lakeshore Avenue and it brought my mind back to that B3 and the 32nd Street Baptist Church. So I asked Marcus if they ever use that organ. “So are they using the organ?” I asked again. A big smile began to appear on his face and he said, “You bet." He went on to tell me that he had been to the church the previous Saturday night. He said, “The place was packed and the choir sounded great." Marcus and I bid a warm farewell and we continued on our separate ways. I am always thankful I ran into him, as he reminded me that the power of the Hammond B3 organ and the power of music can in fact be a driving force for good. In this case the power of one B3 can be credited with helping to save a neighborhood. 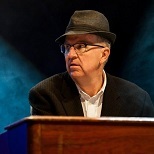 I guess I never actually owned that particular Hammond B3 organ, but I always felt like it was the best one I ever had.